Servals are common in savannas where there is plenty of water. They prefer areas of bush, tall grass, and dry reed beds near streams, but they are also found in high-altitude moorlands and bamboo thickets. 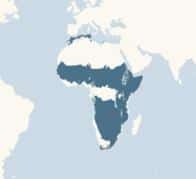 They are found in most parts of Africa, with the exception of Central Equatorial Africa, the very Southern part of the continent, and the Sahara region. 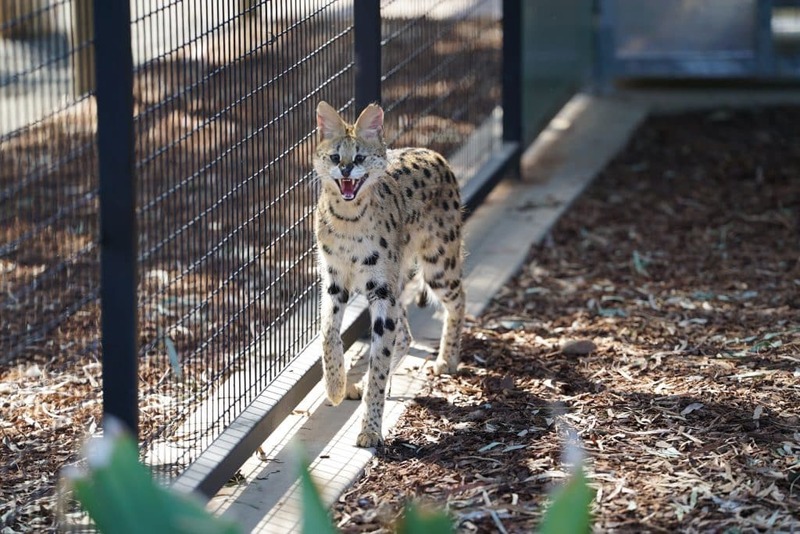 Servals are a medium sized wild cat with incredibly long legs and large ears. Their coat is a yellow-brown in colour dotted predominantly with black spots. They have 4 black stripes that run from the head to the top of their shoulders. The back of their ears are black with large distinctive white stripes through the middle of them. Servals stand 54 - 66cm at the shoulder with an average body length of between 59 - 92cm excluding the tail. Males weigh between 9 - 18kg while females weigh in at 7 - 12kg. The serval is sometimes referred to as the ‘giraffe cat’ or ‘bush cat’. Ancient Egyptians worshipped servals due to their power and grace. Servals are able to jump 3m into the air and cover 4m across in one leap. They communicate using a range of sounds from purring like domestic cats to being able to hiss, cackle, meow, grunt, and emit high-pitched chirps. When fighting other Servals they have a ritualistic behavioural pattern; they sit opposite each other and one will place a paw on the others chest. The other cat will bob his head and potentially bite the paw. Only on rare occasions will this escalate to a physical fight, more often-than not it remains a stare-off. 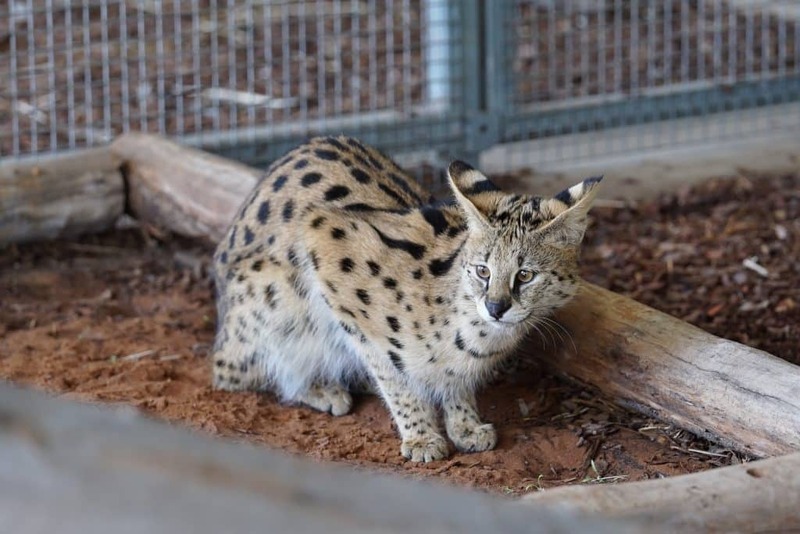 Servals have been bred with domestic cats to create a breed called the ‘savannah cat’. Diet: Hyraxes, hares, birds, reptiles, insects, fish and frogs. They catch most of their prey by leaping up into the air and pouncing which results in their prey being stunned or instantly killed. 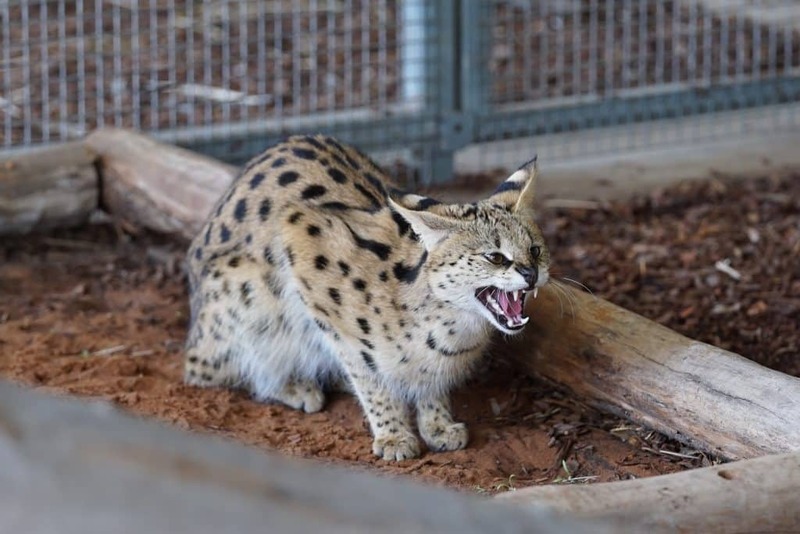 Servals are known to pause and close their eyes in the middle of a hunt using their acute sense of hearing which is so strong they can even hear rodents underground. Reproduction: Both males & females reach sexual maturity between1 - 2years of age. When the female is ready to mate she will find a male and court him resulting in the birth of 1 - 4 kittens. The kittens will start to eat meat at 4 - 7months of age, at this stage Males are kicked out of home, whereas females can stay with their mothers up for up to 2 years. Predators: Hyenas, Leopards, African Hunting Dogs and Humans.